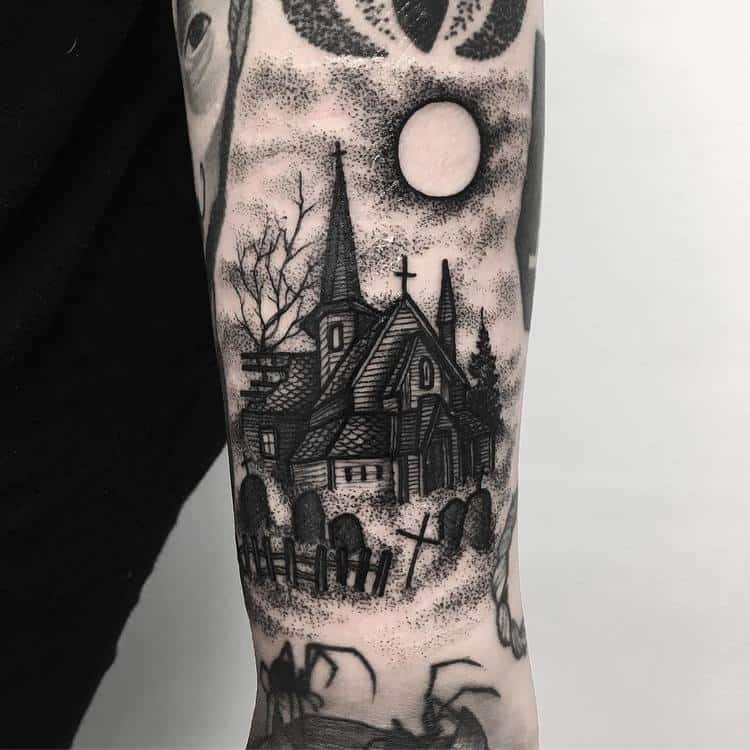 For those who love gothic, creepy and macabre motifs, the dark tattoos of Merry Morgan are a delight to the soul! 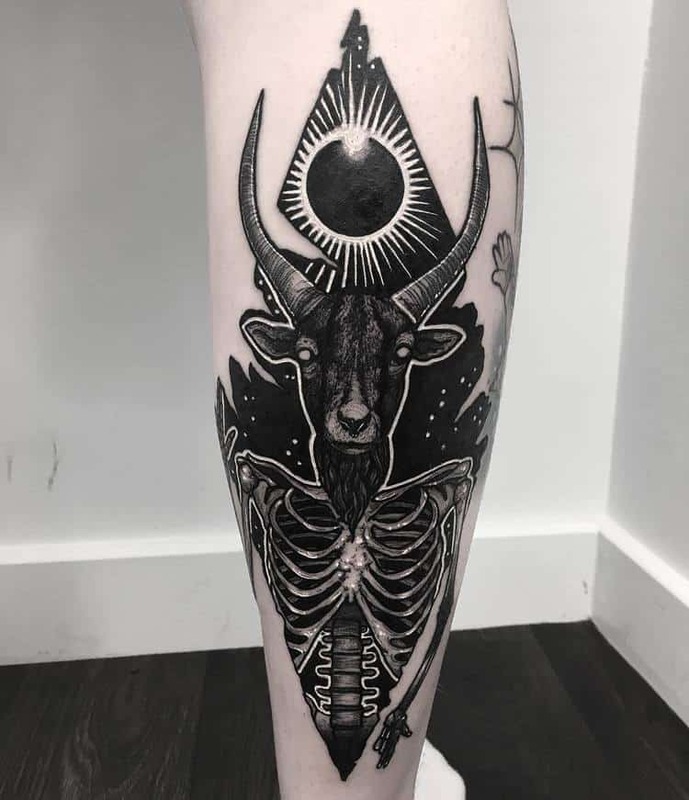 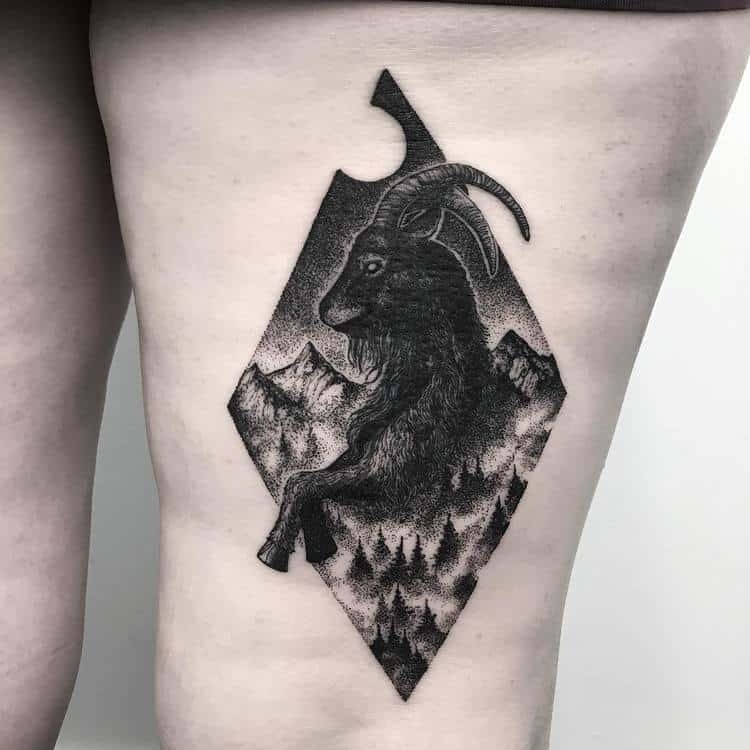 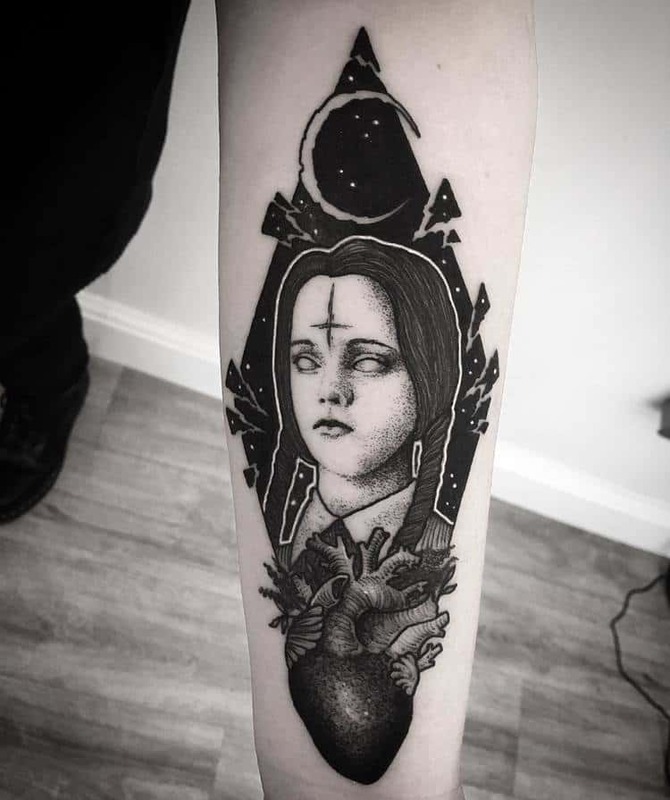 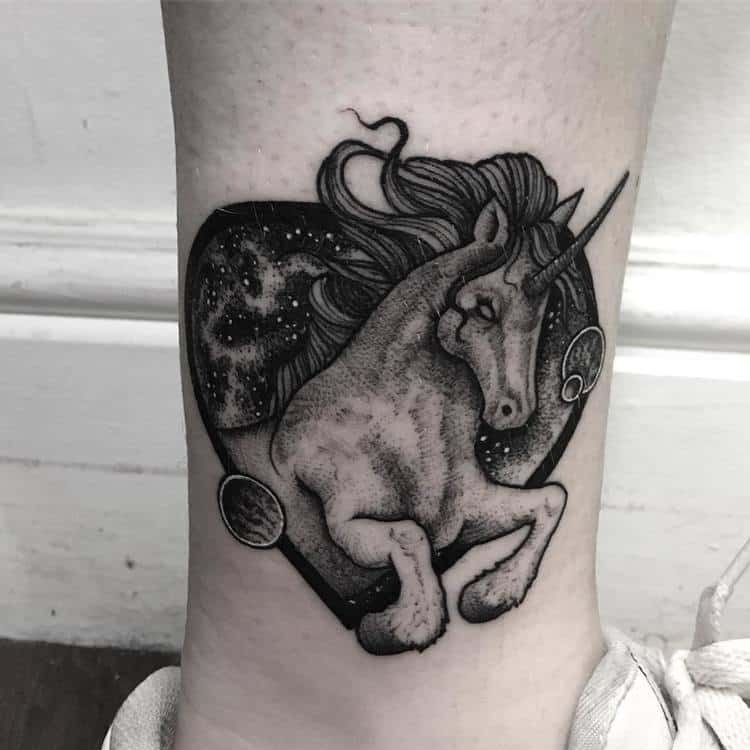 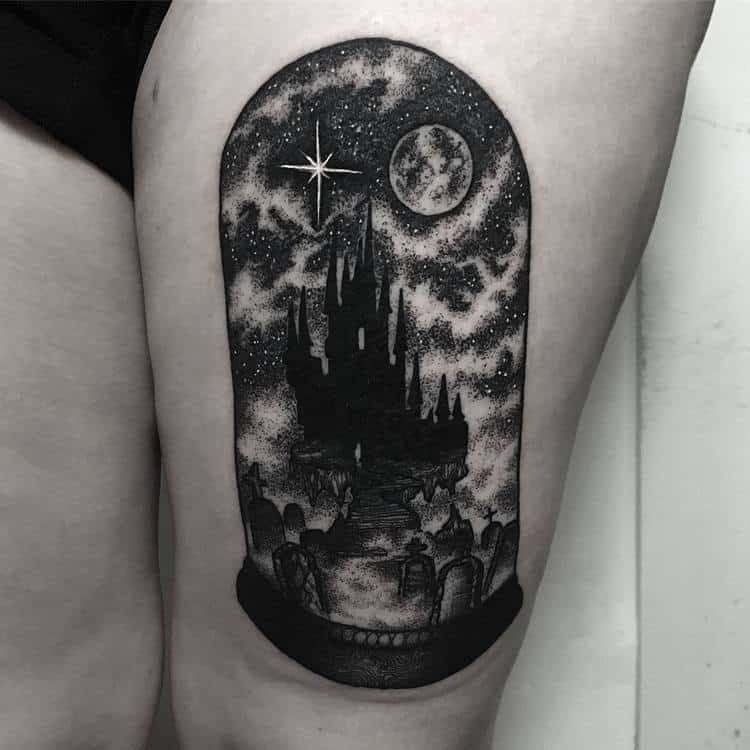 Merry Morgan is an England based tattoo artist specializing in dark-themed blackwork tattoos to which he gives a galactic touch by adding stars and other space elements in almost each of his designs. 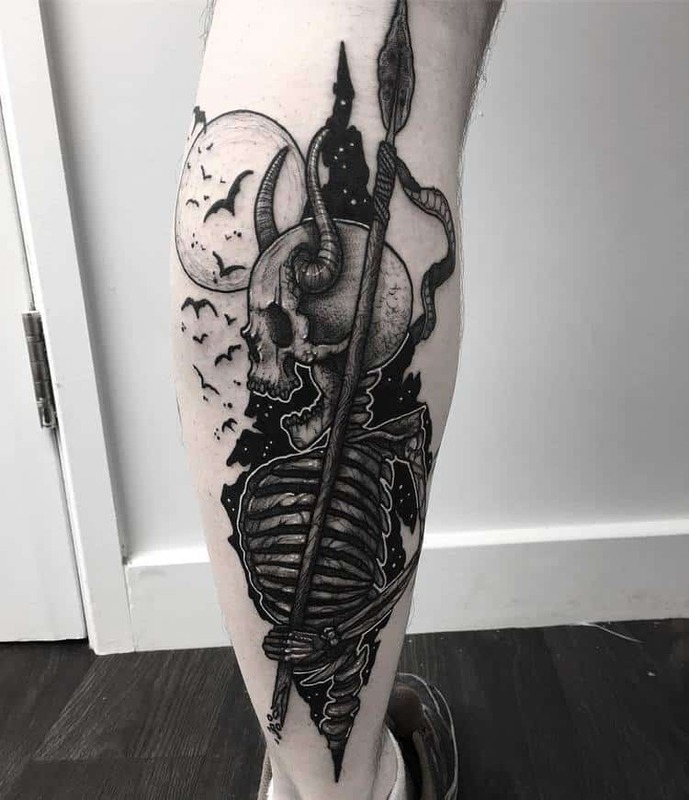 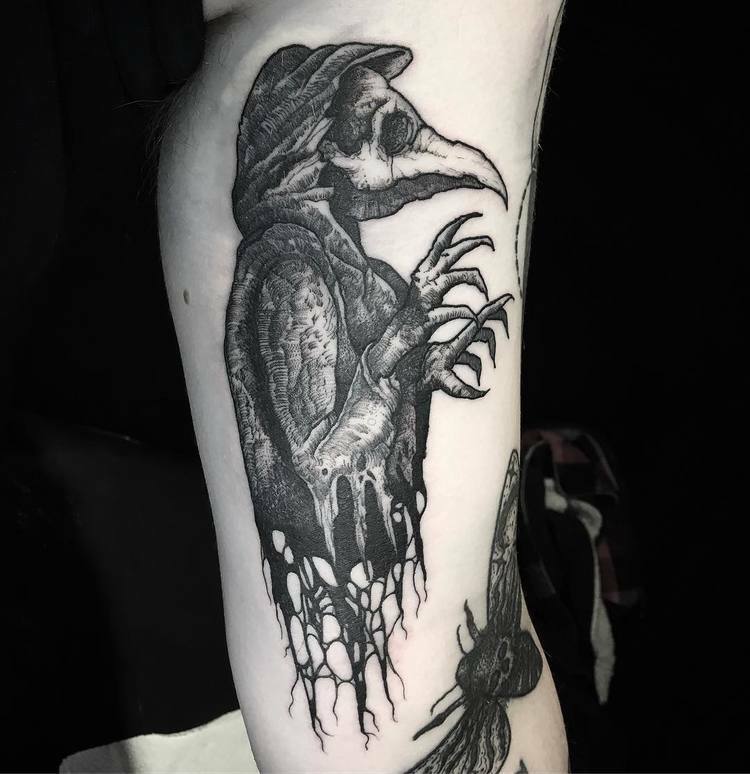 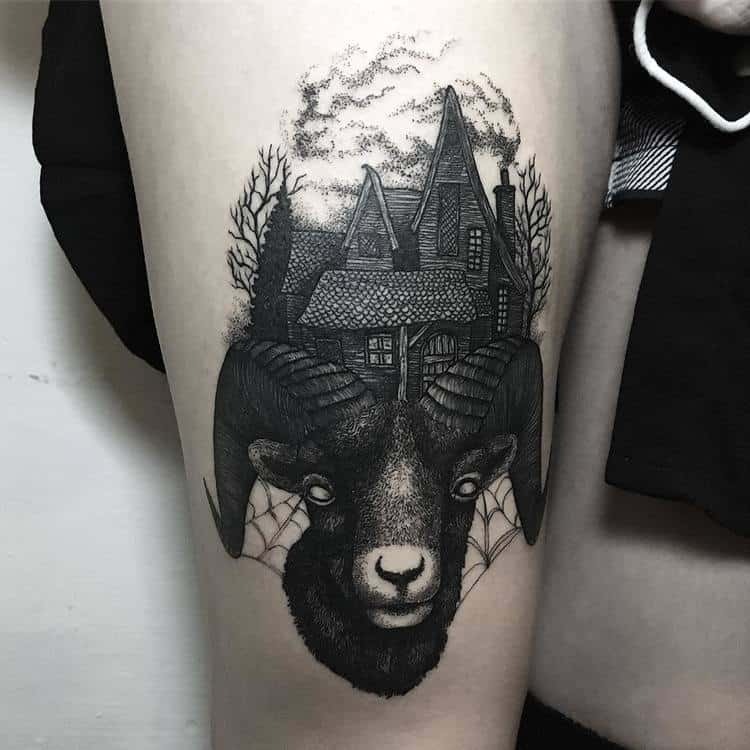 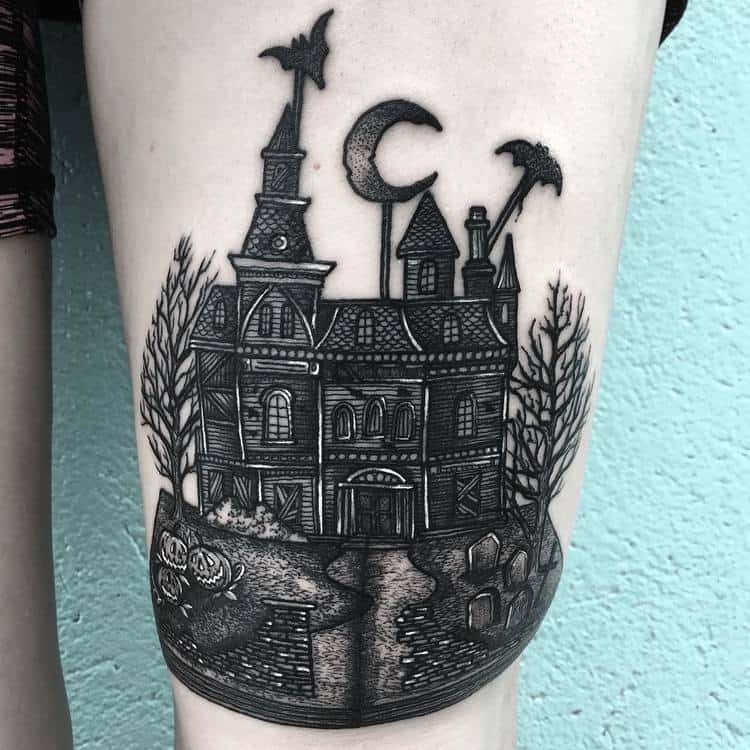 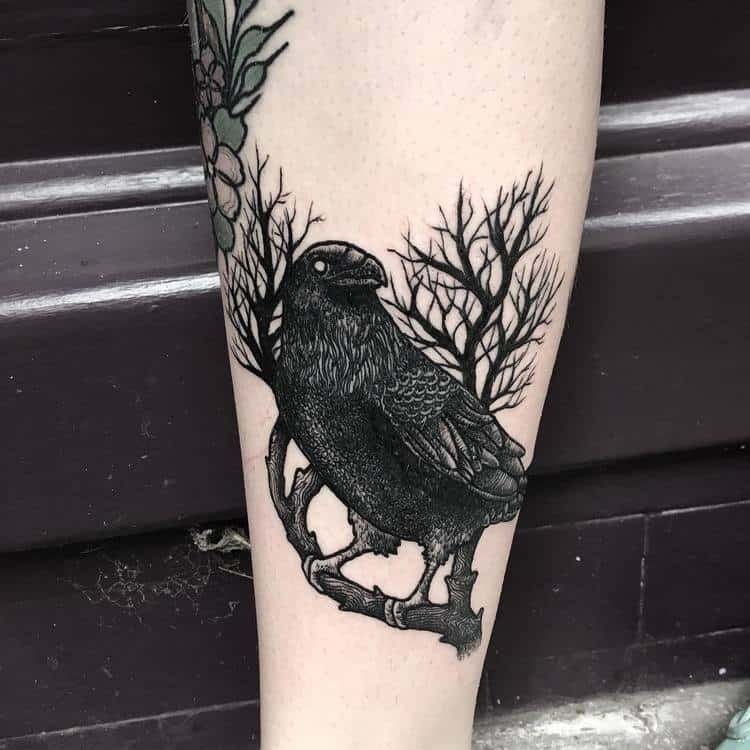 Coffins, skeletons, spiders, dark castles, haunted houses, creatures of the night and Halloween themes are among the main topics in his gloomy tattoos. 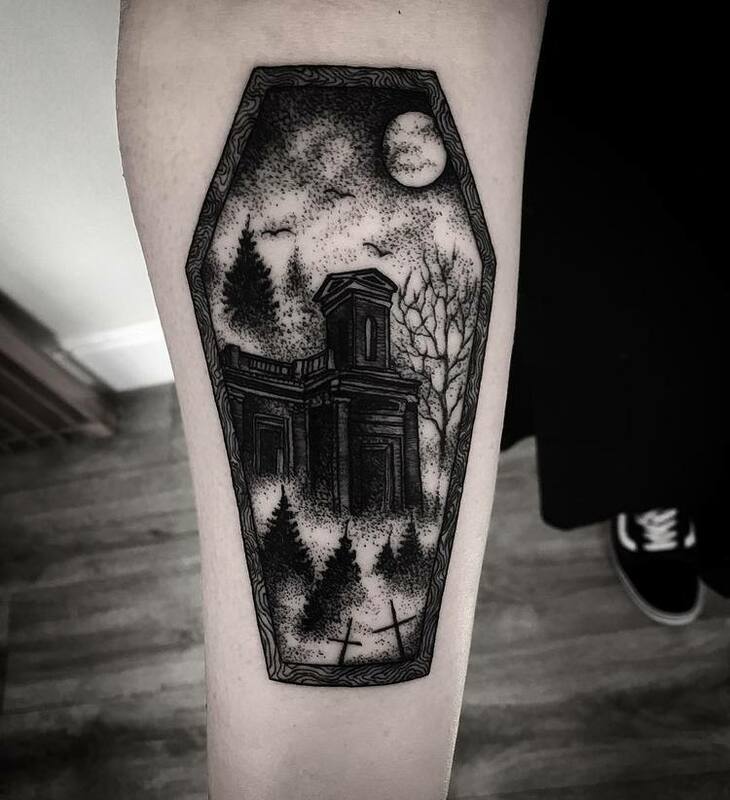 Enjoy our selection of 30 dark tattoos by Morgan and follow him on Instagram for more.